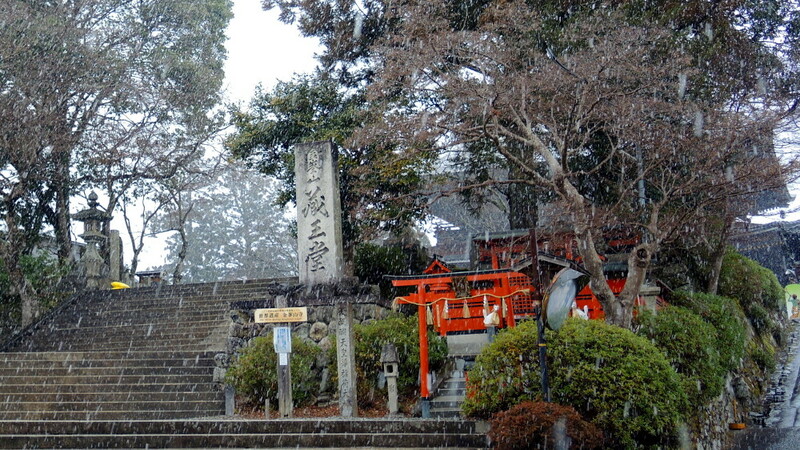 Yoshino is a town in the Kii Mountains, east of Osaka. 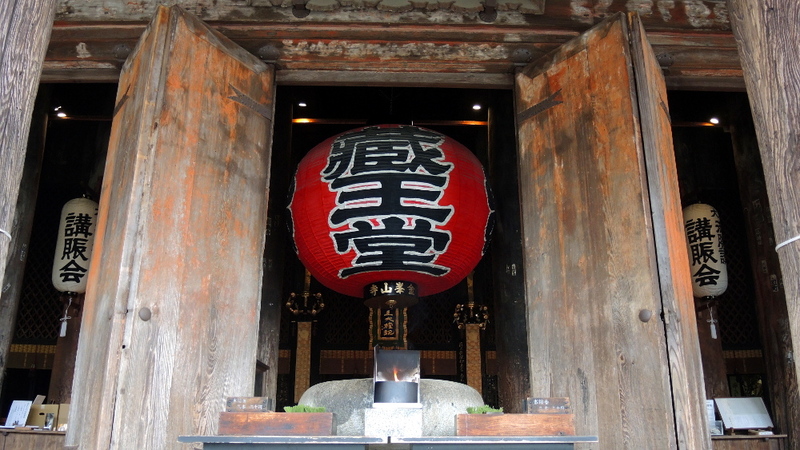 It’s the gateway to Mount Yoshino, known for the thousands of cherry trees that blossom in the spring. In winter, the town presents a very different, but no less attractive series of vistas. 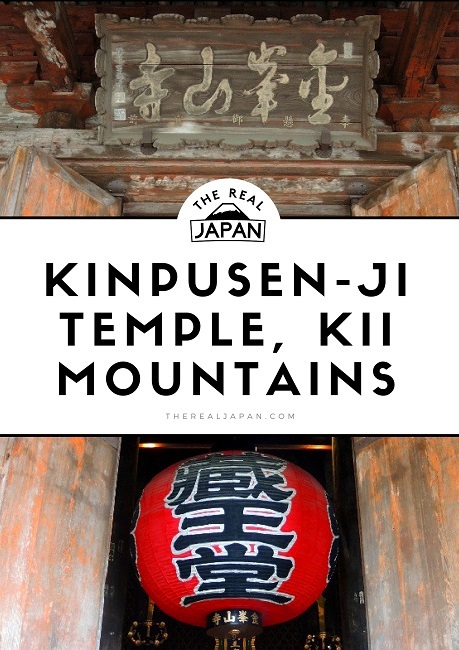 The mountain is also home to the massive, wooden Kinpusen-ji Temple – the second largest wooden structure in Japan (after the Great Buddha Hall at Todai-ji in Nara). 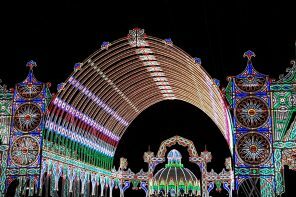 It is located within Yoshino-Kumano National Park. 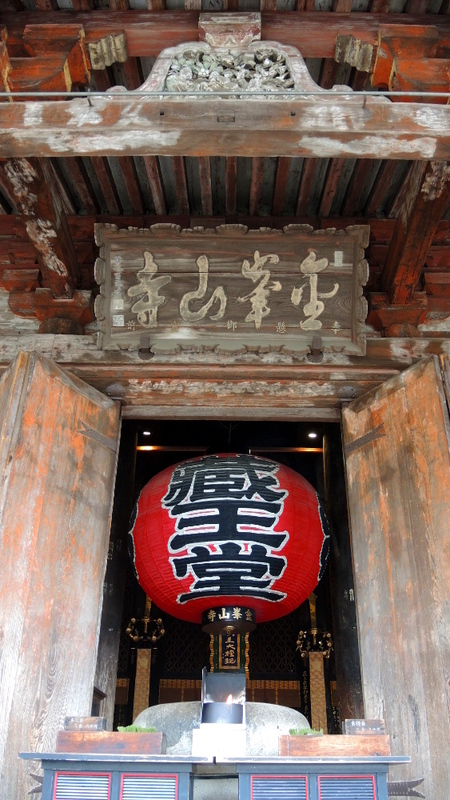 Known as an area of “Sacred Sites and Pilgrimage Routes in the Kii Mountain Range”, it comes as no surprise to learn that it is a listed UNESCO World Heritage Site. Although accessible by train, from the centre of Osaka, in a leisurely hour and a half, Yoshino feels a world away from that buzzing city. Yoshino Station is literally the end of the line, located in a steeply sided valley. 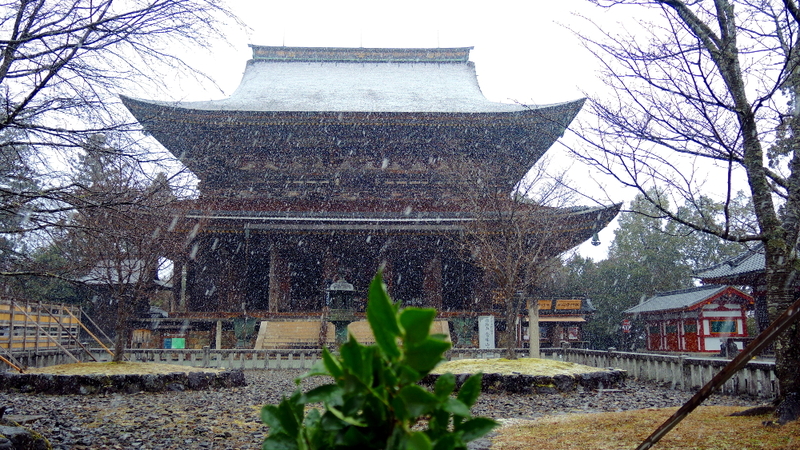 Kinpusen-ji Temple sits at the highest point of Yoshino, not even visible from the valley far below. In decent weather, there is a footpath, winding its way back and forth in an attempt at making the ascent up the mountain side less strenuous that it might otherwise be. It was mid-January and the region was experiencing a longer than usual winter. Noon was already approaching, and with it dark, snow-laden clouds steadily gathered over the mountain. Anticipating the weather turning for the worse, I chose not to take the already sodden footpath, opting instead for the free local bus that shuttles between the station and the town. 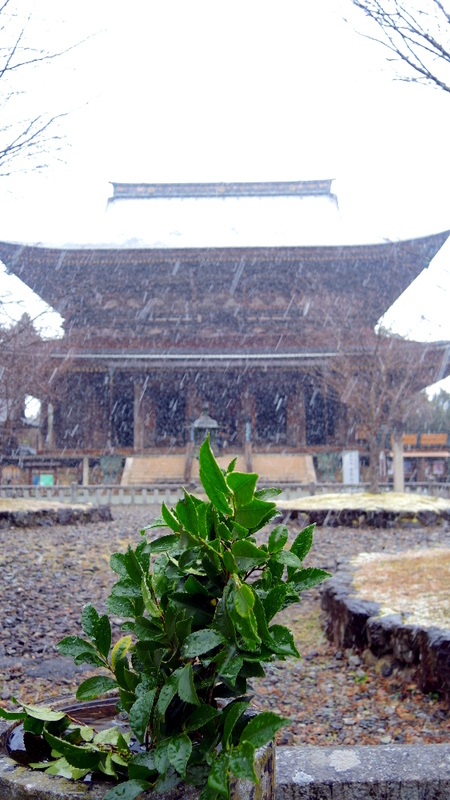 By the time I arrived in Yoshino, the snow had begun to fall. The sky now completely obscured by a canopy of slate coloured clouds, indicating that not only was this turn of weather for the remains of the day, but that it would be wise to expect it to worsen. Having stopped at a restaurant for a lunch of suitably warming soba noodles, I braced myself for the increasingly cold air outside. Fortunately, the temple lay just across the road. 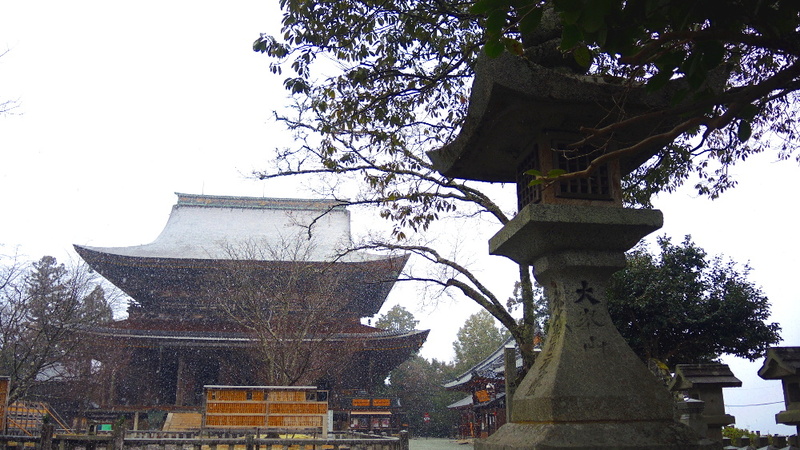 Kinpusen-ji is one of the most important temples of Shugendo, a religion based on mountain worship that combines tenets of both Buddhism and Shinto. 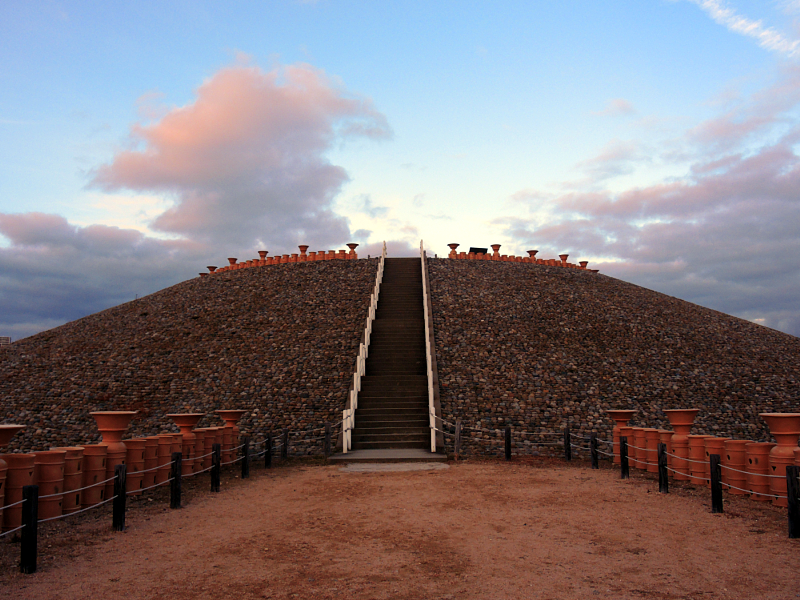 It was completed in the second half of the 7th century. The scale of the impressive wooden building at odds with the modest town it sits at the end of. I was here with my wife, the two of us the only people around. This again in stark contrast to spring, when millions of Japanese flock to the area, between late March to the end of April, to witness perhaps the most stunning display of cherry blossom to be found in the country. That must be an altogether different experience than the one I had on this day. But, for me, the peace and quiet, the bracing wind, the screen of snow between me and everywhere I looked, created a zen-like calm. Feedback and questions welcome – leave a comment below. 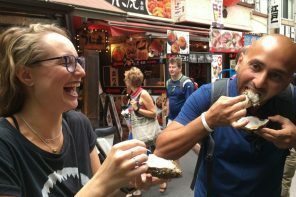 Sign up for my weekly Japan travel bulletin today, download your copy of my Guide to Amazing Adventures in Japan, receive access to my free Resource Library and Private Facebook Group.